Two women from Houston, B.C., have been sentenced after pleading guilty in an animal cruelty case involving more than 100 animals. Karin Adams and her daughter Catherine Adams were investigated after the SPCA seized the animals from their property in August 2014. 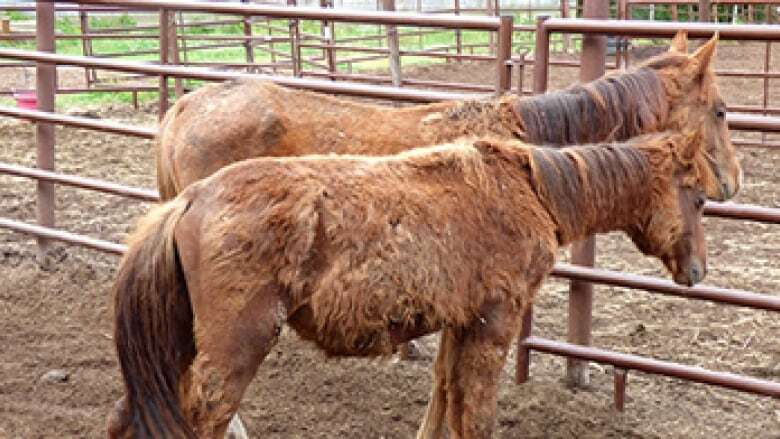 Constables seized 18 horses, 18 dogs, 15 birds, two cats and 104 fish, finding them malnourished and kept in unsanitary and overcrowded conditions. Both women were handed 20-year bans on owning animals and ordered to pay nearly $5,500 in restitution to the SPCA to offset care costs. Karin Adams was also sentenced to 15 days in jail and two years' probation, while her daughter was given six months' conditional house arrest and three years' probation. Marcie Moriarty of the SPCA says conditions were so bad that two horses were eating wood in an attempt to survive, while many dogs were extremely matted, had dental issues and lacerations.